Policy dismantling is a distinctive form of policy change, which involves the cutting, reduction, diminution or complete removal of existing policies. The perceived need to dismantle existing policies normally acquires particular poignancy during periods of acute economic austerity. It can be especially productive of political conflict, pitting those who benefit from the status quo against those who, for whatever reason, seek change. However, scholars of public policy have been rather slow to offer a comprehensive account of the precise conditions under which particular aspects of policy are dismantled. Dismantling does not even merit a mention in most public policy textbooks. Yet without an account of both expansion and dismantling, our understanding of policy change in general, and the politics surrounding the cutting of existing policies, will remain frustratingly incomplete. 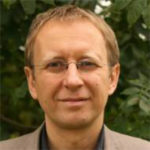 In this talk, Andy Jordan offered a more comparative approach to understanding policy dismantling, by looking in greater detail at the dynamics of cutting in two different policy fields: one (social policy) which has been subjected to study before and the other (environmental policy) which has not. Andy examined what motivates politicians to dismantle, the strategies they employ to dismantle, and the effects these have on policy and politics.